Scientists are working to develop breakthrough therapies for pancreatic cancer, one of the deadliest cancers affecting both men and women. Pancreatic cancer is a disease that frequently presents no symptoms until it reaches very advanced stages. Surgery is the only chance for a cure, but most patients are not surgical candidates because of the location of the tumor in the pancreas or because the cancer has spread. Moreover, most people who undergo surgery relapse and subsequently die of pancreatic cancer. FDA has approved three treatments in the past 20 years for advanced pancreatic cancer to help patients live longer: (1) gemcitabine; (2) erlotinib in combination with gemcitabine; and (3) nab-paclitaxel in combination with gemcitabine. “Today we know more about this form of cancer. We know it usually starts in the pancreatic ducts and that the KRAS gene is mutated in tumor samples from most patients with pancreatic cancer,” says Abhilasha Nair, M.D., an oncologist in the FDA team that works on cancers of the digestive system, including the stomach, pancreas and colon. Hematologists/oncologists are doctors who study and treat cancers of the blood and various solid organs such as lung, stomach and brain. Pancreatic cancer is the fourth leading cause of cancer death in the United States. Yearly, about 46,420 people will be diagnosed with the disease and 39,590 will die from it, according to the National Cancer Institute. This cancer accounts for less than 3 percent of new cancer diagnoses each year, but it is aggressive and deadly. The five-year survival rate is only about 5 percent. If untreated, patients can die quickly, Nair says. Treatments include chemotherapy and, for some patients, surgery and/or radiation therapy. The most frequent symptoms that bring patients to a health care provider are jaundice, back pain and unexplained weight loss. Other symptoms include new onset diabetes or worsening diabetes, nausea, vomiting, bowel changes, tiredness, weakness and changes in appetite. 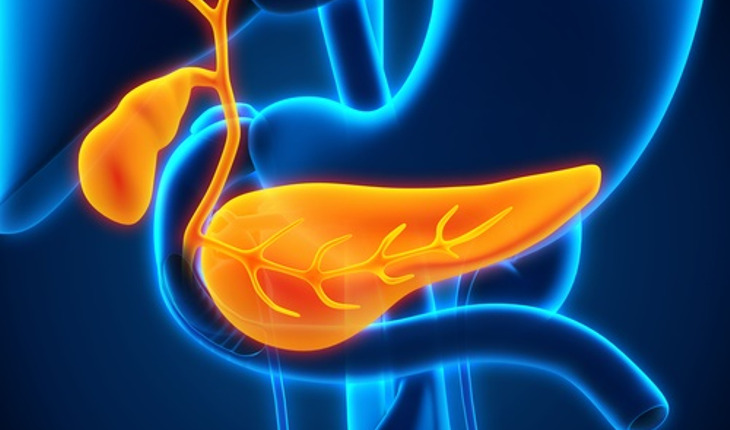 Scientists are researching how certain factors increase the risk for pancreatic cancer. They include smoking, pancreatitis (chronic inflammation of the pancreas, characterized by abdominal pain, chronic pain, loss of weigh and diarrhea), longstanding diabetes, genetic changes (BRCA1 and BRCA2 mutations) and Lynch syndrome (an inherited disorder that increases the risk for certain cancers). To achieve that, scientists are digging deep into the cells of tumors to learn why pancreatic cancer is resistant to most available chemotherapy drugs. “Something in the extracellular matrix (the tissue space between the tumor cells) may be preventing the tumor cells from being affected by chemotherapy,” Nair says. Much of the research focuses on the tumor’s environment, identifying ways to overcome the tumor’s defenses, and improving the delivery of chemotherapy directly to cancer cells. Researchers are also exploring immune therapies, which have been successful in treating melanoma and other cancers. With immune therapy, doctors could improve the patient’s own defenses against the cancer. Reprinted with permission of FDA Consumer Health Information. For more updates, click here.